Oh, naptimes! How I love you, but only when you are effective. My girl is like clockwork, and she appreciates a schedule more than I do. Napping is so vital to her day, and we make sure to keep those napping hours a priority around here. If not, we've got a bunch of unhappy campers in our house...a grumpy baby and two grumpy parents. So when little bit started to wake just 30 minutes into her nap while sleeping in her crib (we're thinking it's due to her body not adjusting well to deep sleep; a common theme amongst babes her age), we began holding her to rock her through those wake-ups and keep her snoozing. Because even though she was getting a short nap, it wasn't giving her the rest or energy for happy wake times. And that seemed to work. But, when you need to stop everything you're doing to hold your baby for an hour+, three to four times a day, you start to feel like those nap times aren't allowing you to get any of your to-do's done. That is the pickle I find myself in lately. While I absolutely love holding my sleeping baby, there really is nothing sweeter, by that third nap I find myself feeling restless and unaccomplished. The pile of laundry and dirty dishes are glaring at me, and the nail polish I have been waiting to apply is being left by the wayside. 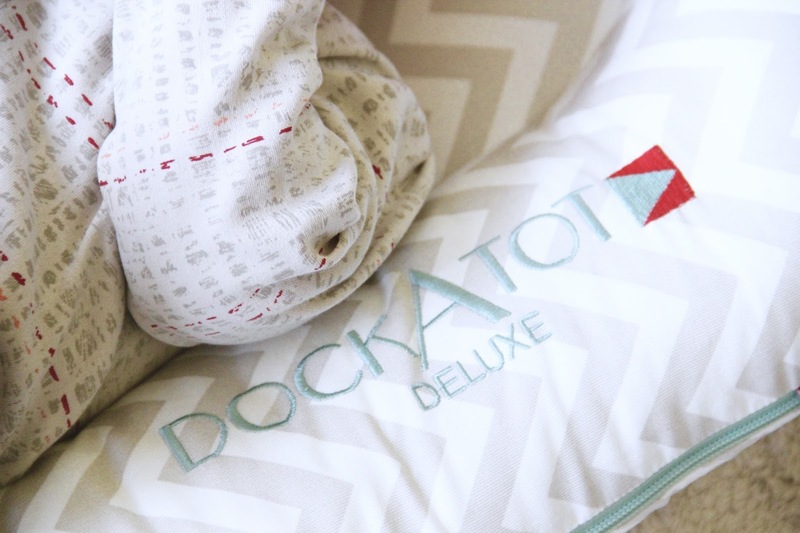 When DockATot sent me a dock to try out, I instantly felt a glimmer of hope for what naptimes could be. For months I had heard rave reviews over these docks, and I couldn't wait to try one out for Greer. And you know what?! She loved it right away. After singing her to sleep, I was able to put her into the DockATot and go about with my to-dos and a little me time. It felt glorious, people! 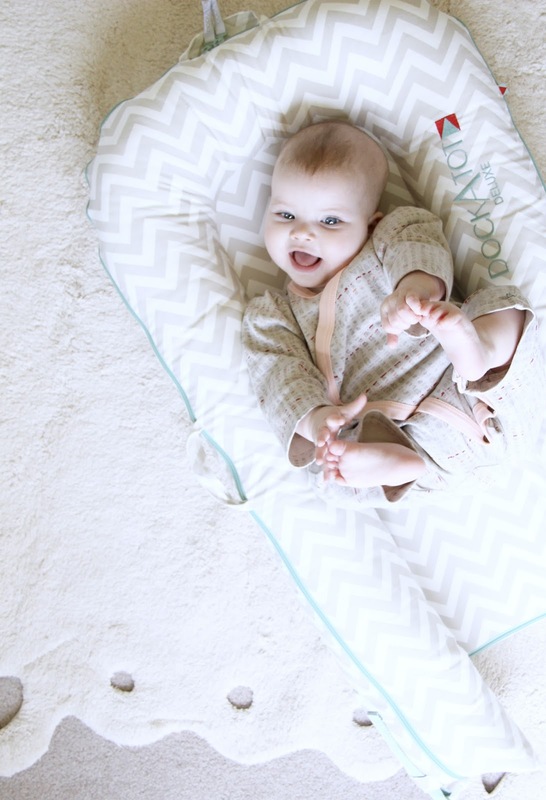 Her DockATot gives her the comfort that she feels when sleeping nestled in our arms. The creation of 'mama's arms' that the dock provides keeps her asleep when I place her down. She feels comforted and secure, which is exactly what I've been looking for. Trying to put a sleeping Greer down into a wide open crib at naptime only results in a very (suddenly) awake baby who has now missed the sleep window. And this helicopter mama has never been comfortable with tucking rolled blankets around her (I'm a worrywart). 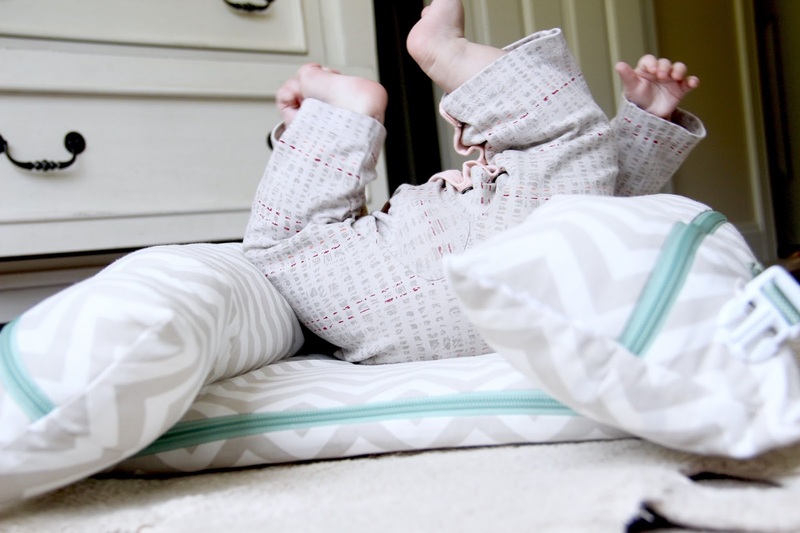 DockATot has cured that problem for us. So while we still find that she wakes up around the 30 minute or 45 minute mark due to that transition into deep sleep, I can put her down during naps without waking her, thanks to the security of the DockATot. 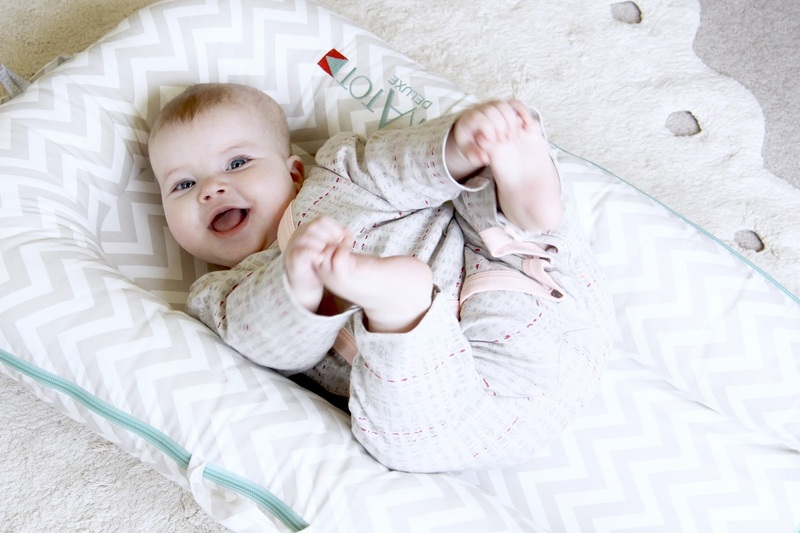 An added bonus of the DockATot is that it also gives Greer a soft place to play during her wake hours. She loves to lay in it and play with her feet. I can easily put her on the floor in it and she's as content as can be. I think it all has to do with the pillow-like sides that keep her feeling comforted, instead of out in a wide open space. 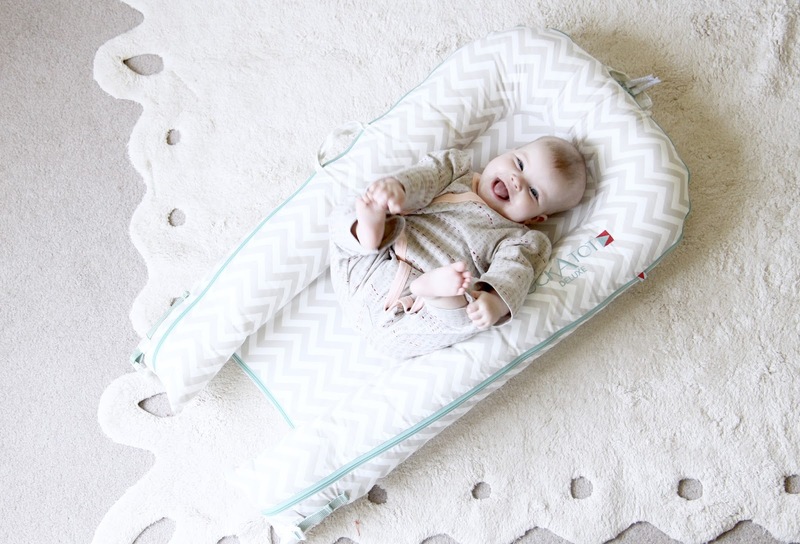 I love that it's easy to carry around wherever, is super easy to clean (just remove the cover and throw it into the wash), and is baby friendly through naptimes and playtimes. If you've got a trouble sleeper on your hands or just want a secure spot for your little to nap and or/play you should give the dock a try. They offer two different sizes for babies and toddlers (we use the deluxe), all of which come in fun patterns. This dock has been a baby essential around here, and we're huge fans around here! Thank you to DockATot for providing a dock! The review and thoughts are all my own.